Former Loyola University New Orleans President Michael F. Kennelly, S.J., died on Monday, Jan. 3, at Ignatius Residence in New Orleans. He was 96 years old. 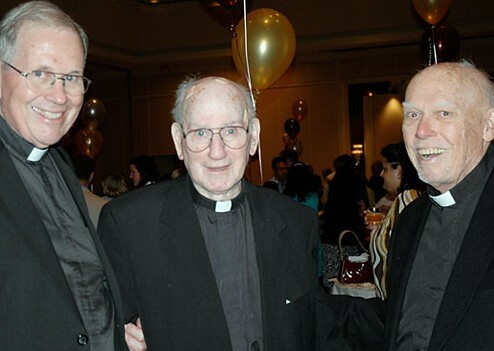 Kennelly devoted 77 years of his life to the Jesuit order and was a priest for 64 years. He was Loyola’s 13th president, serving from 1970-74, and was known for his steady leadership of Jesuit academic institutions, both at the collegiate and high school level. Services will be held on Friday, Jan. 7, at Holy Name of Jesus Church. Visitation will be at 9:30 a.m., followed by a Funeral Mass at 10:30 a.m. Interment will be at St. Charles College in Grand Coteau, La. 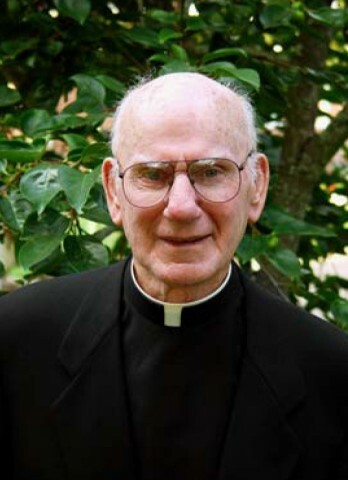 Born on May 22, 1914 in Kilbaha, Moyvane Co., Kerry, Ireland, Kennelly entered the Jesuit novitiate on June 9, 1933 at St. Charles College in Grand Coteau. After his first vows on June 10, 193, he studied at Spring Hill College in Mobile, Ala., obtaining a bachelor’s degree in the classics in 1939. He continued his education at St. Mary’s Academy and College, in St. Mary’s, Kan., and at the National University of Ireland, in Dublin receiving a masters degree in education in 1949. During his lifetime, Kennelly worked in several Jesuit schools. He taught at Jesuit High School in Tampa, Fla. from 1940-43; served as principal of Jesuit High School in Shreveport from 1948-53; rector and president of Jesuit High School, Tampa from 1953-59. He was founder, rector and president of Strake Jesuit College Preparatory School in Houston from 1959-70, and then served as rector and president of Loyola University New Orleans from 1970-74. Kennelly’s latter years were spent in Florida. He was the assistant pastor of Gesu Church in Miami from 1974-75. He ministered as associate pastor of Sacred Heart Church in Tampa from 1980-82, becoming the pastor/superior from 1982-90. From 1990-97, he was the rector and vice-president of Jesuit High School in Tampa. He returned to Sacred Heart Church as the pastor emeritus and parochial vicar from 1997-02, at which time he was assigned to Ignatius Residence in New Orleans until his death. Kennelly was preceded in death by his parents, Timothy and Mary Jane Kennelly of Kerry, Ireland; brothers John Joe, Patrick, Rev. William, Daniel and James Kennelly; sisters Mrs. Breda Clifford, Katherine Kennelly and Mrs. Eilis Kelly. He is survived by his sister, Mary Jane Coulon and by his brother, Timothy.